Sustainability & Interiors – 3 Tips For Purchasing and Disposal - LOTH, Inc.
Buy Used “As-Is” or refurbished systems furniture when possible. 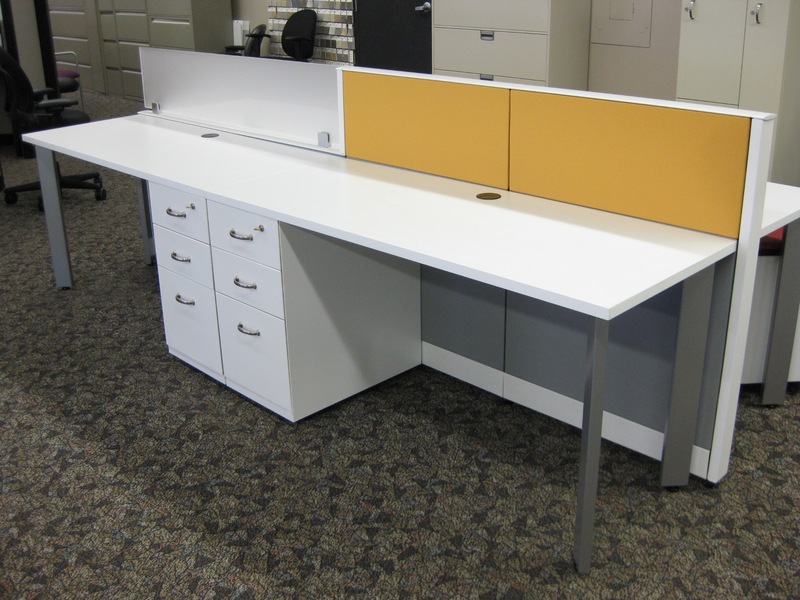 Refurbished workstations still allow a wide-range of choices in fabric and finish selection with just a fraction of the environmental impact of new furniture. Utilizing “as-is” stations can not only offer you a substantial cost savings for your offices but can also help keep otherwise usable product out of landfills. Even premium products such as benching systems or height-adjustable tables are often available as pre-owned products. If you are interested in used office products, check out LOTH’s Repeat Performance division website repeatperformancesolutions.com. If you are buying or building new product, try to purchase products that have cradle-to-cradle certification (http://www.c2ccertified.org/). Many large interiors product providers (Shaw Floors for example), offer cradle-to-cradle products. The Cradle to Cradle Products Innovation Institute is a non-profit organization that educates and empowers manufacturers of consumer products to become a positive force in sustainability efforts. The Institute administers the publicly available Cradle to Cradle Certified™ Product Standard, which provides designers and manufacturers with criteria and requirements for continually improving what products are made of and how they are made. Even benching systems (such as Steelcase C-Scape) or manufacturers that offer biodegradable packaging materials can have C2C certification. If you have furniture you no longer use, look into utilizing a manufacturer or liquidator that has a re-use program, such the “Phase 2” offering from Steelcase (http://www.steelcase.com/services/#recycle-reuse_overview). Typically most large scale re-use providers will only take items in a multiple truckload quantity (150 stations or greater) for the sake of efficiency, however many regional providers will retrieve items on a smaller scale at no cost to the donor and re-purpose them for non-profit entities. Some examples from our region our ReSource (resourceweb.org) in Cincinnati or the Furniture Bank of Central Ohio in Columbus (www.furniturebankcoh.org). If you do buy used or refurbished furniture for your offices, this is something you should be proud of as an organization. Consider sharing your sustainability story with your employees, customers and other stakeholders – you might inspire another person or business to look into sustainable furniture options.